Home Features Reader Photos Hmmm … could this be for me? 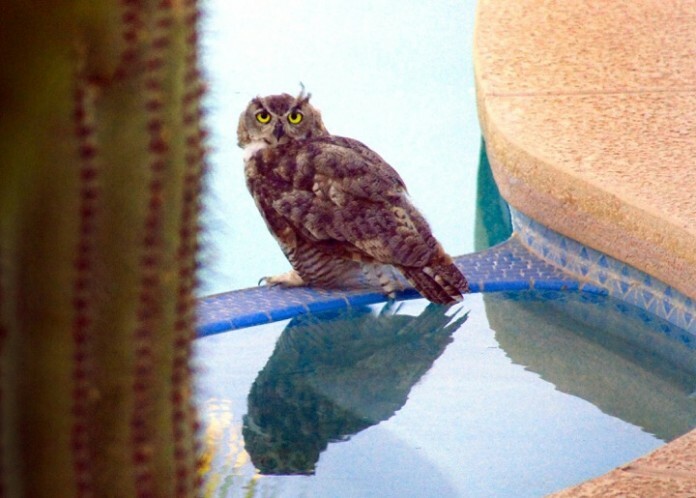 A baby Owl came for a Jacuzzi in the back yard of their home in Carefree. Amazing the water seemed inviting at 110 degrees when the air temp was 115 degrees. Photo courtesy of Scott McKay.